We are born with an umbilical cord connected to our Birth Mother. We all know this. What many of us do not know or forget is that we are also born with an energy cord connecting us to The Field. You can see The Field as the Field of Infinite Possibilities, The Unifying Field or simply as Oneness. Or you can choose to see it as The Divine. We have an energy cord to Oneness because we are born from that Greatness and that infinite unfolding into a tiny body, a particular culture and a historical moment. As soon as we are born these three elements begin to interact, dressing our infinite self in the colors, textures and shapes of our environment. At this point in our growth our true nature as infinite unfolding energy being begins to fade away from our consciousness and we can only see as Self the dress we have been wearing. Our sense of self shrinks to fit the stories we have learned. As long as we keep identifying with these old limiting stories we cannot be free. In fact, we are trapped in the cage of obsolete beliefs, learned expectations and archaic interpretations. Every new opportunity and possibility pretty soon shrinks to fit that cage. We are trapped in the past, repeating it over and over. Once this is programmed into our neural pathways, and subconscious, we lose awareness of the energy cord that connects us to Divinity. We cannot see or feel our Greatness and therefore we cannot believe in it. And once that embedded perception of our limits becomes our self-perception, attaching itself to our sense of identity –what shamans sometimes call our Primary Identity— then it is entrenched at the deepest level of our subconscious programming, overriding conscious choices and even values. As a result, we disown our Greatness. We disbelief our talents. We distrust our potential. And sadly, we doubt the truth that our Soul, our very Essence is expressing through our emotions, dreams, purpose and longings. Our Soul knows our Sacred Self and is constantly calling us into its Remembrance. But, having attached our identity to the Domestication Rags –the tiny dress we dawn after birth– we operate within a tiny, limited universe of Allowances, instead of the infinite universe of Possibilities that is our true home and nature. The good news is that the umbilical energy cord that connects us to Oneness cannot be severed. It is still there; even if we forgot or cannot see or feel it. Everything is part of The Field, connected to it, and expression, event or possibility within The Field. And so we are part of Oneness as Oneness is part of us. Pause to reflect on this. Read it out loud. Repeat it, please. Listen carefully. What doorway opens to your perception as a result of this formula? If the entire universe is inside you, then you ARE the universe. You are made of all that is and could ever be. Within you there exist infinite possibilities. You have access to all that you need to create what you want. Can you feel your true nature uncoiling from the cage of your learned identity? You are meeting your Divine Self, your Sacred Self. This is your true nature. You are an endless, infinite unfolding of stories that have been written, are being written and may be written. And your intention is the pen that determines which of those stories you become and which of those stories you enact. Many of the stories that have been written in your DNA and your subconscious were the work of others. You were born into them. It’s like being a character in a story written by a ghost writer! Other stories you have created out of need and desperation, ignorance and fear during your first years in earth, when you did not know better. But now you are an experienced adult. You have the awesome power to re-write these stories, to write your own fluid stories and to create stories that allow you to grow, unfold and expand according to your own designs. These are the stories your Soul carries like seeds of your potential, waiting for you to plant them in the fertile soil of your intention, to water them with your emotions, to shine your skills and creative genius on them and to nurture them with the minerals of your actions and choices. Your Soul shares this intention with Earth Mother. 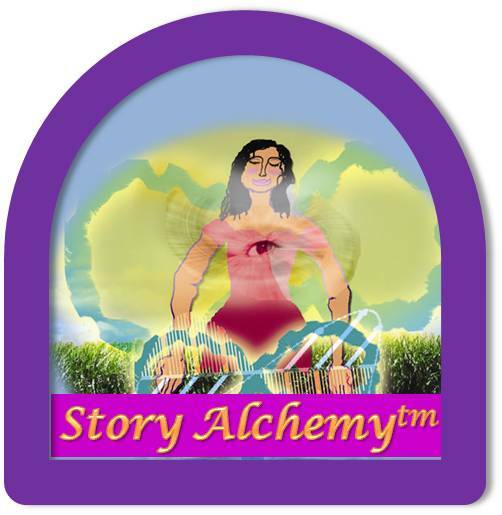 She also wants you to unfold, to create new stories that allow you to tap into your highest potential. Because through your unfolding the whole of humanity evolves. If you think that this is arrogant, then you are trapped in the Primary Identity or Tiny Self; trapped in ordinary stories that have stolen the inherent magic of life from your eyes. They have stolen your Greatness. How do the immense waves of the ocean move if not through each drop of water? Were that drop to say that it could not change the tides because it was too small, the ocean would lose its flow. What is a tree if not the gathering of leaves? Were each leaf to give up its potential based on the belief that it was alone and separate, the tree would be bare and incapable of fulfilling its magnificent purpose. And if the ocean did not flow and trees were born bare, the planet would dry up and you would not exist. We are all interconnected. And that includes you. You are a holistic drop of Divinity containing the entire universe, connected to The Field of Infinite Possibilities. You are a drop of humanity containing and connected to all humanity. Humanity exists through you. It evolves —or devolves— through you. Your perception, your choices, even your thoughts and emotions, and definitely your actions —both internal and external— influence the shape of humanity and the health of our planet. Understanding this is true humility. Owning this returns you to your Greatness. 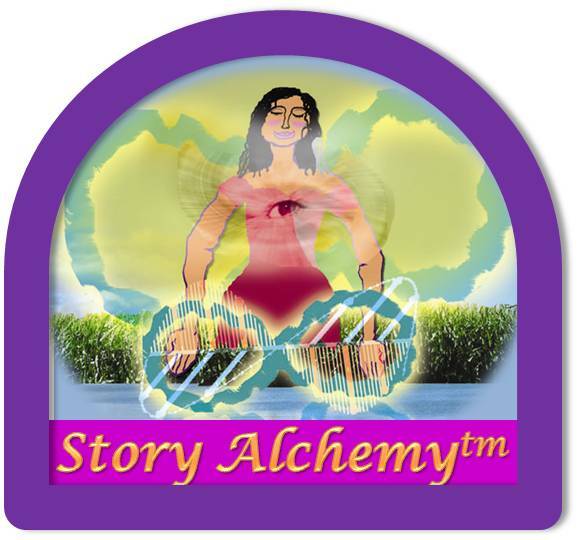 These are the principles that I have used in the creation of a new proprietary process called Story Alchemy™ —which combines storytelling, tapping and energy work to help you change your story so that you can change your life. If you want to embark in a journey to change to change your old stories and create new stories that bring your dreams into your life, click here to read more.